Our range of products include doff baskets. 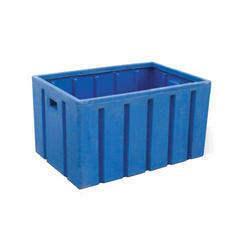 We hold the expertise to offer a vast range of Doff Baskets (Sintex Doff Baskets). These doff baskets are manufactured under the close supervision of our highly experienced professionals. Our vendors use excellent quality material in the manufacturing process following industry norms and standards. Looking for Doff Baskets ?